We are now truly living in the era of big data. And it’s not just companies like Facebook and YouTube that are reaping the benefits, big data is transforming science too. 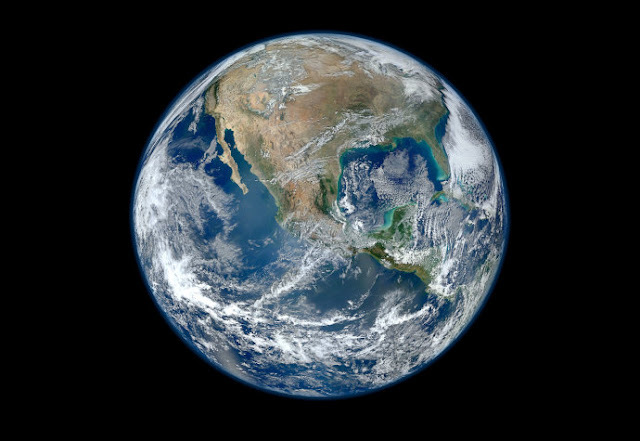 In the space sciences, we have an unprecedented number of satellites and ground-based instruments that monitor Earth’s space environment – routinely producing tones of data. But how do you process it all? While you may have heard about algorithms and artificial intelligence, there are some decidedly more human approaches too. One of the things I study are the sounds within the Earth’s magnetosphere – the magnetic bubble that protects us from space radiation. These sounds consist of particles vibrating back and forth. Because they are electrically charged, they are affected by magnetic fields, but can also themselves affect magnetic fields, such as those from the Earth, to create a magnetic type of sound waves. However, since there are so few particles in space, these sounds are incredibly weak and only present at frequencies thousands of times lower than we can hear. We can, however, make our recordings of them audible simply by amplifying them and dramatically speeding them up. This latter part can help with big data – you can get through a whole year’s worth of these recordings by just listening to six minutes of audio. And by doing this, we identified the sounds that follow solar storms. Our results were published in Space Weather. But we didn’t do it alone. One way scientists have been trying to cope with big data is by using citizen science, crowd-sourcing volunteers from the public to carry out well-defined tasks that help classify or analyse data-sets that would be difficult to do using a computer or a lone scientist. This has proven incredibly successful. For example, the 1.6m users of the citizen science platform Zoon verse have managed to achieve 375m classifications – ranging from distant galaxies to marine invertebrates. However, with these projects, the scientists who set them up have to have an idea of what they’re looking for. It’s highly likely though that there are phenomena hidden in the data that we are currently missing because we don’t know how to look for it yet. I had the idea that we could combine these two approaches, having lots of people listening to sounds from space and seeing if anything interesting turned up. And now it has, with our new study revealing the sounds that follow solar storms, found thanks to a group of A-level school students in London. What the students discovered was a loud crunching noise followed by a series of whistling sounds whose pitch decreased. This event in the audio, lasting five or six seconds, corresponded to several days in reality. By looking into these unexpected sounds in more detail, we found that they started just as a “coronal mass ejection” or solar storm hit Earth’s magnetosphere, which caused a big disturbance. Such disturbances are important because they can adversely affect technology such as communications satellites and power grids, known as space weather. It turned out that the whistling sounds were vibrations of Earth’s magnetic field lines – a bit like the vibrations of a guitar string can form a note. While the solar storm stripped away many of the particles present in Earth’s space environment, they started to refill again from the top of the atmosphere as it recovered. It was this refilling that caused the pitch of the sounds to drop slowly over time. Space scientists had barely discussed sounds like this before – they were thought to be incredibly rare. We wanted to find out whether that was actually the case by taking a closer look at our audible dataset. What we found is that similar sounds are in fact quite common following solar storms – in 2013, the year of the first event, 20 others occurred. By looking in more detail at these whistling sounds, we hope to better understand the recovery process of Earth’s magnetosphere during other space weather events. In particular, knowing which classes of solar storms and other phenomena lead to these sounds will allow us to figure out not only how effective they are at driving space weather, but conversely how all that energy gets dissipated during the recovery. By building up a better picture of what happens, we may one day improve our forecasting. As our research shows, citizen science can clearly turn up interesting and unexpected scientific results. But that’s not all – it can also create art. Today also sees the release of an anthology of short films, created by independent filmmakers from across the globe, all of which were inspired by and incorporate these sounds. You can watch it online for free.